Independent shops are the cornerstone of economic activity for most people in developing markets. They supply the lionshare of what people consume, in Kenya for example 70 percent of total consumption. They sell goods and services, allow people to pay bills and if they are agents allow people to deposit into and withdraw (see more on agents below). Any large business selling to the mass market does so through independent merchants. At the same time, these shops often do not have the working capital they need. Banks do not serve them as they cannot offer collateral or traditional bookkeeping. As a result, they have to borrow from relatives, friends and informal money lenders. 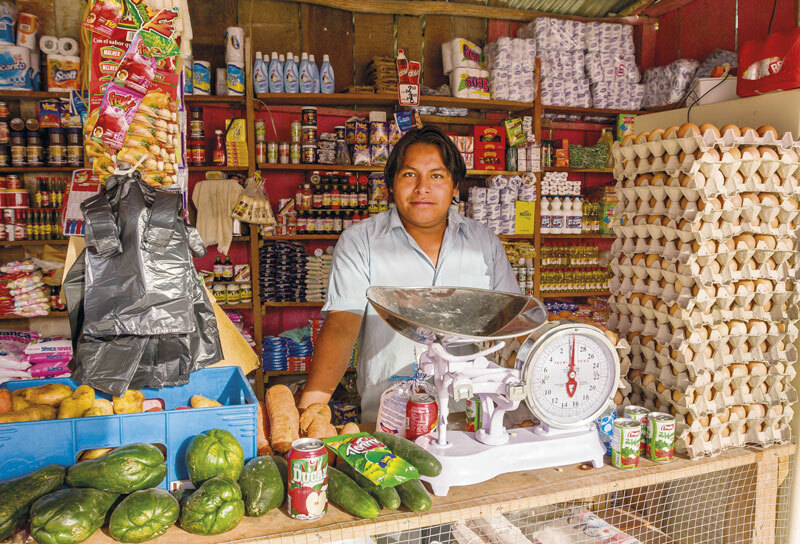 According to McKinsey, at least 200 million micro, small, and medium-sized enterprises (MSMEs) in emerging economies have no or insufficient access to credit. Many of these are shops. Hundreds of millions of people in developing markets now bank through digital solutions. They rely on agents to be able to convert cash into e-money and vice-versa. These agents are shops which provide cash-in/out services on behalf of networks such as mobile money providers (see more on networks below). The 5 million+ mobile money and banking agents are therefore the key foundation for the growing digital finance ecosystems of the developing world. Importantly, these agents must pre-fund their business and consequently cannot serve customers when they lack capital or cash flow. In Uganda for example, 14% of daily transactions are rejected by agents due to lack of e-money (Helix Institute for Digital Finance). When agents lack e-money, customers cannot transact and agents as well as networks lose out on revenue. E-money liquidity is therefore a key bottleneck in digital finance ecosystems. Networks are businesses which provide services to shops. For example, mobile money providers have networks of mobile money agents, which allow their customers to cash-in/out from their mobile money wallets. Networks rely on the shops/agents to generate revenue and will share some of this revenue with the merchants. When the merchants lack liquidity to service customer transactions, the network loses out. This is why Flow provides benefits to the network.